With all the young stars and proven veterans in the Winnipeg Jets lineup, it was unheralded defenceman Joe Morrow who delivered the franchise's first playoff victory in its history. Funny how things work out sometimes in the sporting world. With all the young stars and proven veterans in the Winnipeg Jets lineup, it was unheralded defenceman Joe Morrow who delivered the franchise's first playoff victory in its history with a late game-winning goal in the Jets' 3-2 victory over the Minnesota Wild in Game 1 of their first-round series. That's right, Joe Morrow. He drifted a shot from inside the blue line that changed direction off the stick of Wild forward Charlie Coyle to beat goalie Devan Dubnyk through the legs. Dubnyk was magnificent with 37 saves in the opener. Jets general manager Kevin Cheveldayoff was lauded for one of the biggest acquisitions at the NHL trade deadline when he landed centre Paul Stastny from the St. Louis Blues. The only other move Cheveldayoff made that day almost went without notice. He acquired the 25-year-old Morrow from the Montreal Canadiens for a fourth-round pick. Morrow was considered nothing more than a depth pickup for the playoffs. He wasn't expected to play much, but because of injuries to defencemen Toby Enstrom and Dmitry Kulikov to start the playoffs, Morrow was forced into action. The goal, with seven minutes and 13 seconds remaining, was Morrow's first career game-winner in the NHL, and came in his 126th career game (121 in the regular season and six in the playoffs). Morrow was a highly touted junior. He played on the Portland Winterhawks team that lost in back-to-back Ed Chynoweth Cups in 2010-11 and 2011-12. He was drafted by the Pittsburgh Penguins in the first round (23rd overall) in 2011. But before he played his first NHL game, Morrow was traded twice. First, he was moved to the Dallas Stars in the Brenden Morrow deal at the 2013 trade deadline. A few months later he was sent to the Boston Bruins in the Tyler Seguin trade. Morrow is from Edmonton. He was born 30 months after the Oilers' last Stanley Cup championship, but he remembers the 2006 run and anything he needs to know about hockey he can tap his dad and older brother, Josh. Josh is nine years older. He was drafted by the Nashville Predators in the seventh round in 2002. Father Dave played one season in the WHA with the 1978-79 Indianapolis Racers, where he was briefly teammates with someone named Wayne Gretzky before Racers owner Nelson Skalbania sold No. 99 to the Edmonton Oilers after eight games. The Racers folded after 25 outings that year. A pro career has not come easy for the younger Morrow, but he certainly made the most of his opportunity on Wednesday. "Like I've said before, it's a game of opportunity, a game of chances," he said. "It's a very small window to stay in the National Hockey League. I'm sure you guys know all the numbers of even making it to the NHL. To be able to have an opportunity and get a second chance like this is pretty unlikely. It sits on you if you don't capitalize this." While this was an evening for Morrow to play the role of hero, he was thankful to give the loud and loyal Jets fans something special to celebrate. It was the franchise's first playoff victory in its history, having been swept in 2015 and also in 2007 when they were the Atlanta Thrashers. The city, meanwhile, hasn't witnessed a playoff win since the previous Winnipeg franchise — now the Arizona Coyotes — defeated the Detroit Red Wings 3-1 in Game 5 at Joe Louis Arena on April 26, 1996. 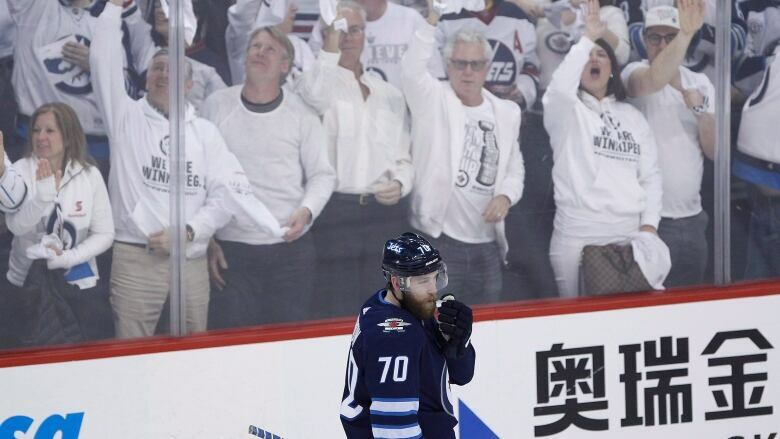 The usual crazy crowd of 15,321 showed up in white and other strange costumes inside the Bell MTS Centre and another 5,000-plus watched the game on giant televisions outside the rink on Donald Street. What they watched was a dominant Dubynk shine early. But the Jets were patient and scored first, a power-play goal from Mark Scheifele in the second period. Winnipeg, however, fell asleep with a couple of aggressive mistakes that turned into a 2-1 Wild lead early in the final 20 minutes. But sniper Patrik Laine was able to draw the Jets even to set the change for a not-so-ordinary Joe on this night. 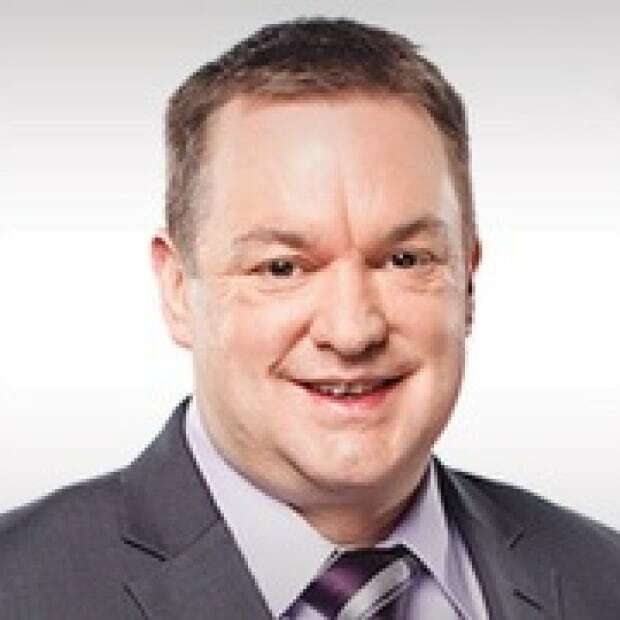 "I don't have words to describe it, I don't have a good enough vocabulary for that," Morrow said through his thick beard in his rinkside interview with Hockey Night in Canada's Scott Oake. "With all the fans here, the way they reacted, it was incredible and something I'll never forget," he said. "Half the stands were packed for warm-up. They were so loud all night. You see some outfits out there that are ridiculous. But the amount of pride these people have is out of control. "It is going to be a fun ride. I hope we can give these people what they want and deserve."